A home health aide or nurse will come to your home and help you or your loved one maintain personal wellness and overall health. We’ll make sure your loved one takes all of their medications and work closely with your physician to ensure the best possible care. Wellness services are available for anyone who has lost the ability to take care of themselves. For example, patients with amyotrophic lateral sclerosis (ALS), often referred to as Lou Gehrig's disease, do not have the ability to control muscle movement normally. They experience muscle weakness and have trouble with speech, swallowing, or breathing. Patients in the latter stages of the disease may become totally paralyzed. Patients with multiple sclerosis (MS) have similar problems, making it difficult to walk, stand up, or use the bathroom. Shene Nursing Service cares for patients with all types of disabilities. 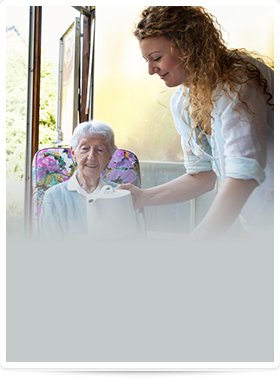 Our nurses and home health aides are specially trained for these situations and they enjoy helping others. We completely understand the need to feel independent and self-sufficient; however, personal wellness is a priority in maintaining overall health and well-being. We’ll make every effort to provide care that helps the individual achieve a greater quality of life. We'll take care of everything so you won’t have to worry about your loved one’s well-being. Contact Shene Nursing Service today at 631.324.9555 or use our online form to get in touch with us. You gave her and us family time together. You relieved an overwhelming burden from my shoulders.